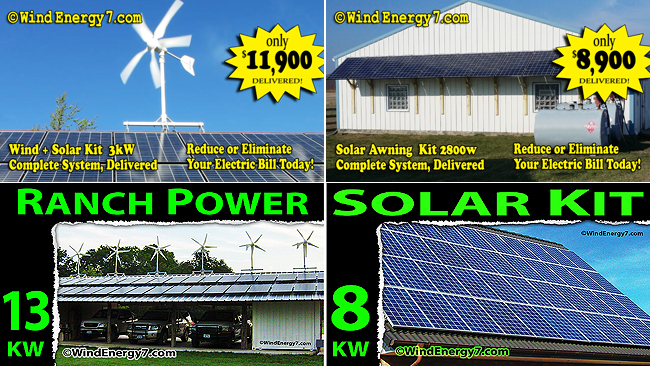 Why are you interested in Going Wind/Solar? >> from the main breaker box. Yes, a sub panel, this will be fine, all power will flow right into that, then into the main, then out the meter when excess is generated. >> to go back to the main breaker box? Thing is, the system ties in wherever you wire it into, you could run an input from wherever, into the main panel box if you wish. EITHER WAY, your green system will also have a EMERGENCY SUB PANEL off it. An AC/IN goes from system to the main or sub panel. An AC/OUT goes into a green EMERGENCY SUB PANEL by your system usually, although it could also have a wire putting it closer to your main panel. THEN: your backed up loads, well pump, fountain pump, hot tub pump, and cadet heaters would go off that ENERGENCY SUB PANEL. When power goes out, ONLY that EMERGENCY SUB PANEL will have power from wind, solar, batteries, and generator. So, part of planning and installing is that these loads need to be migrated to that EMERGENCY SUB PANEL. Or you could make that whole sub panel in that garage the emergency sub panel itself. >> problematic to the energy from the energy system? It could be depending on how you do it. BUT Thats not how you do it. The supplemental generator is normally wired into my system as another supplemental source of power. My system has a relay that turns on/off the generator as needed if the wind/solar is not enough and battery bank gets under stress.. then it triggers the starter and uses that to pull loads and top off the batteries. THEN, it torts the generator off until needed again. We call that load trimming. Yes, no problem. The generator part is not part of initial install and support. We get your whole system up and operating till it proves its stability for a few months. THEN, you start doing the generator part. And because I did no sell you the generator its something you have to get running and figured out after we know the wind/solar is all working well. We don’t complicate troubleshooting, support, and installation with generators since they are not a controllable item or process by WE7.